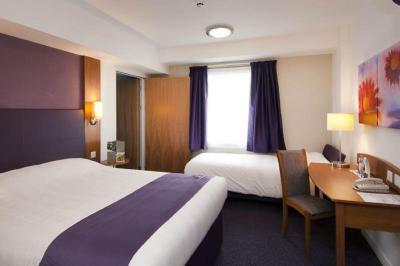 Lock in a great price for Premier Inn London Wembley Park – rated 8.4 by recent guests! 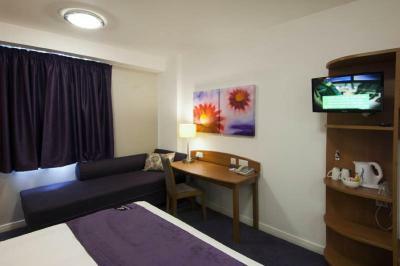 Rooms are spacious and comfortable with air-conditioning. 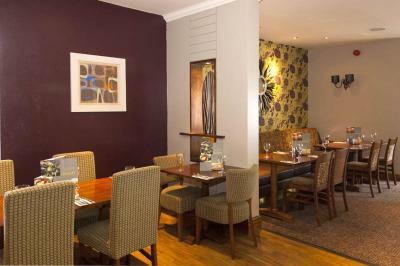 The family rooms are great for 2 adults and 2-3 children . 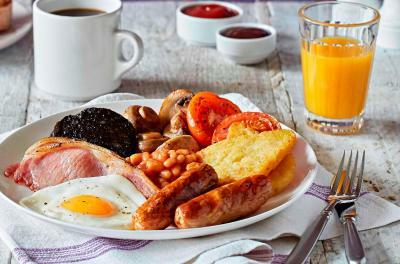 A good full English breakfast at reasonable price. 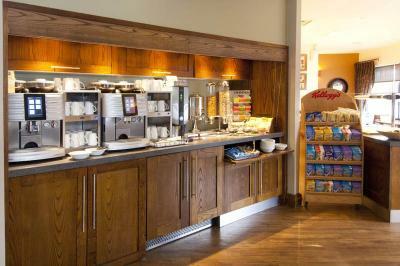 The restaurant on site has good tasty food with reasonable choice. 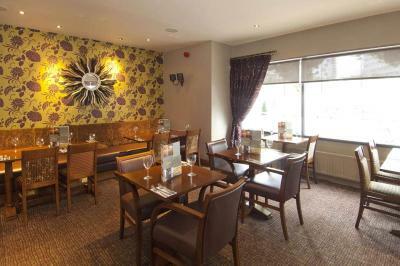 The staff is friendly and very helpful and obliging. 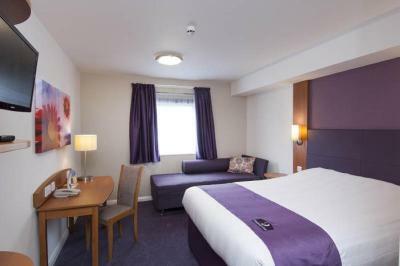 Location is suitable for travel, located right next to Wembley park tube train station with good tube and bus links to central London/ downtown. Large number of shops and restaurants and a mall/ cinema nearby, all in walking distance. Great location and plent of bars and restaurants around. Super close to the Underground. The location next to the train station was ideal for getting into central London for sight seeing. The hotel was quiet and the whole staff was very helpful and happy. Location, location, location! Tube is across the street and the Wembley Stadium is on the other side. Breakfast was great and kids were free. This is our new go-to place when in London. Great location. 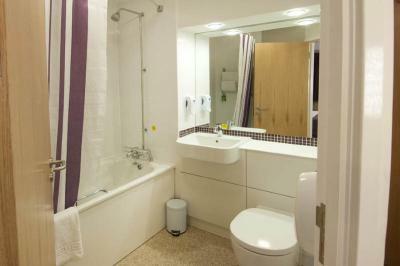 Ideal for tube into London and a retail park with shops/ restaurants within 5 minutes walk. 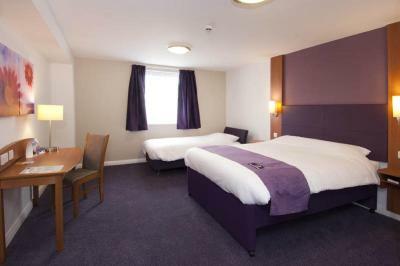 All good, room big and spacious, cleaned every day, staff very cooperative, very good location, 2 mins from tube station,A.C works perfectly. Windows are fixed and don't open, but never bothered us a bit. The staff were very friendly. They helped with train connections. Breakfast was free for the kids and the children menus for dinner were popular with the kids. Premier Inn London Wembley Park This rating is a reflection of how the property compares to the industry standard when it comes to price, facilities and services available. It's based on a self-evaluation by the property. Use this rating to help choose your stay! 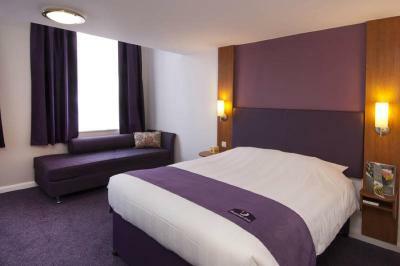 Located 5 minutes' walk from London's famous Wembley Stadium and Arena, the Premier Inn London Wembley Park offers modern rooms with access to WiFi. 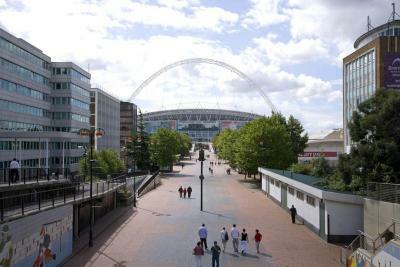 Wembley Park Tube Station is just 500 feet away and central London can be reached after a 12-minute Tube ride. 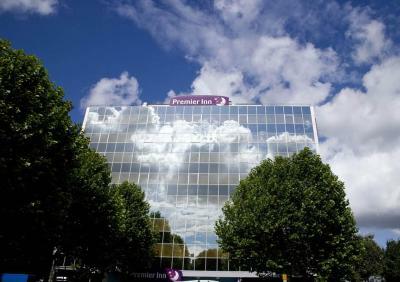 Each air-conditioned room at the Premier Inn London Wembley Park offers a private bathroom with a shower, bath, and a hairdryer. 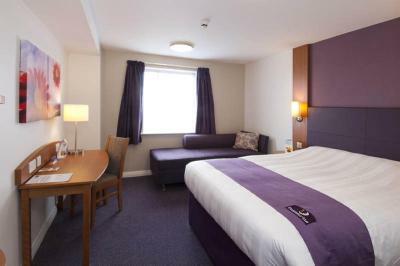 All rooms also include tea and coffee making facilities, a satellite TV, and a telephone. 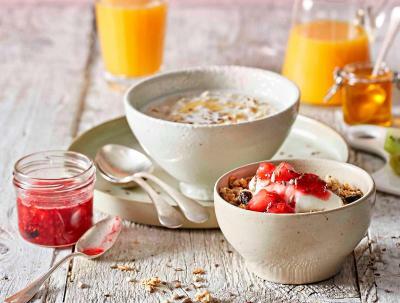 In the mornings, guests can enjoy a full all-you-can-eat breakfast with traditional cooked English options and vegetarian dishes, along with a wide continental selection for a surcharge. 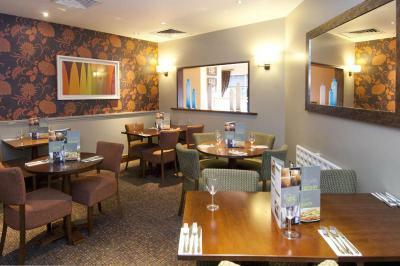 Hearty meals and late-night snacks are available from the modern Thyme Restaurant. There is also a 24-hour bar service. 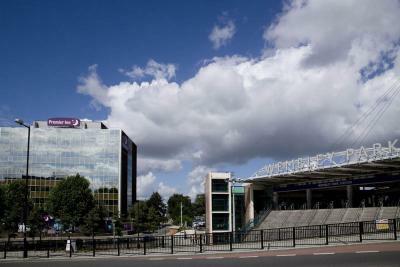 Parking is available opposite the Premier Inn, across the road at Wembley Park London Tube Station. There are numerous shops, restaurants, and bars within a 5-minute stroll of the property. Leafy Regent's Park can be reached after an 18-minute journey on the Metropolitan Tube Line. 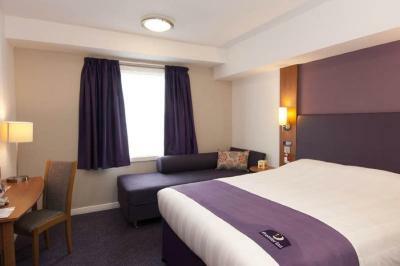 When would you like to stay at Premier Inn London Wembley Park? 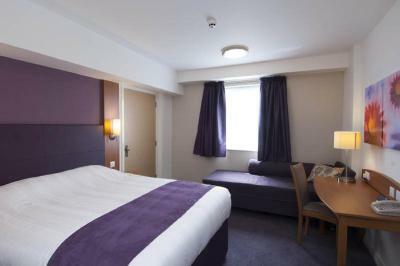 These air-conditioned rooms feature a flat-screen TV, private bathroom and tea/coffee making facilities. Public parking is available on site (reservation is not possible) and costs GBP 6 per day. Hotel surroundings – This neighborhood is a great choice for travelers interested in street markets, culture and musicals – Check location Great location - show map Guests loved walking around the neighborhood! 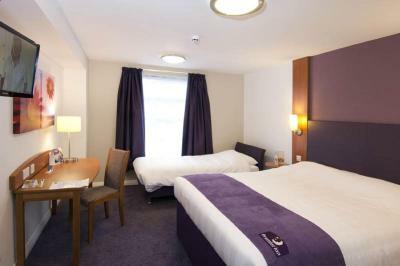 House Rules Premier Inn London Wembley Park takes special requests – add in the next step! 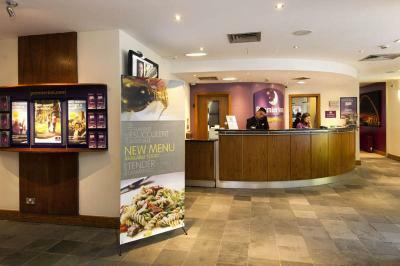 Premier Inn London Wembley Park accepts these cards and reserves the right to temporarily hold an amount prior to arrival. Limited on-site parking is available, charging GBP 6.00 per stay (until 12:00 on guests departure day). Please note that the price is increased during events at the stadium. We did not have a safe in our room but nothing was missing after all so I guess we did not need one. 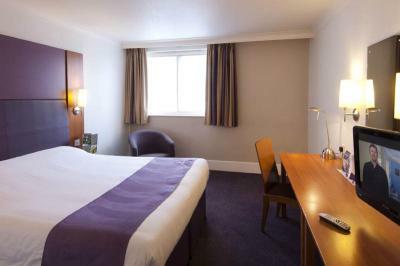 The location of the hotel is great, it's only a few steps away from the tube station. I traveled with my mother who has a walking disability due to hip surgery and she could enter the elevator at the tube station, exit at ground level, walk about 30 meters and was right in the hotel where the elevator brought is right to our room. 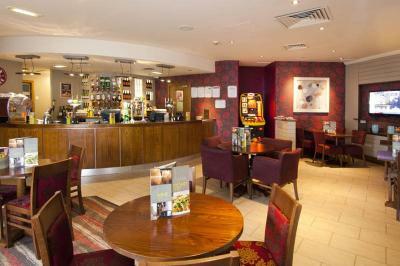 We also liked the location of the hotel as it is very close to a supermarket and a variety of restaurants. 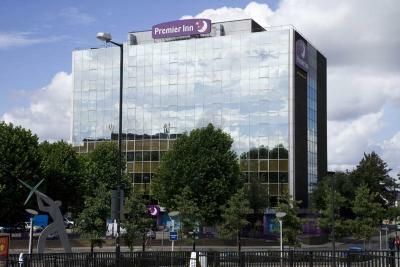 Staff were very accommodating, hotel is based in the heart of Wembley and if you get floor 4 and above you'll get an amazing view. The staff on reception that we spoke with were both extremely friendly, polite and helpful. Staff really friendly and helpful, can’t rate high enough. Highly recommend, will come again. The hairdryer in the room wasn't very good and took ages to dry my hair.